The J1:27 Ministry is a partnership of local churches including Journey Church, The Church at Cane Bay, Creekside Church, Risen Hope, and Hope Church. 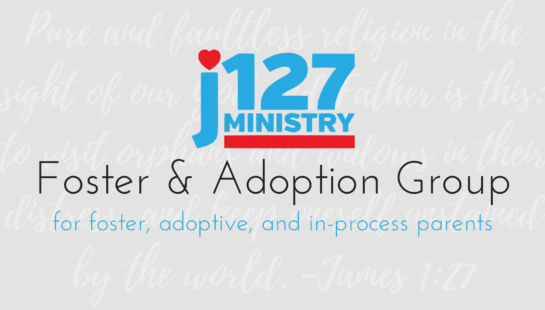 The ministry exists to wrap around children and families in support of adoption, foster care, single mothers and widows, as modeled in scripture in James 1:27. The J1:27 Resource Closet exists for adopted and foster children, single moms and their families. Journey Church operates the Summerville Resource Closet location. Family Support for foster and adoptive families, and single mothers through regular group meetings including the Foster & Adoption Group and the Thrive ministry, and special events. 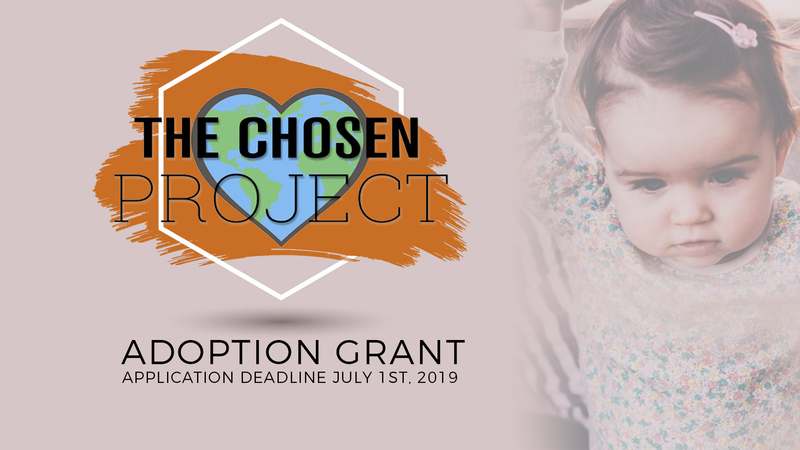 The Chosen Project is Journey Church’s adoption grant fund which awards grants to help Journey Church and other J1:27 Church Partner families cover costs associated with adoption. Applications will be de-identified prior to processing by the selection committee, and information provided will remain confidential. The current deadline to apply is July 1, 2019. Train and Equip adoptive and foster families through monthly meetings, interest meetings, promotion events, and special training events. Partner with Local Churches: We remain Kingdom-minded as we seek to reach more families and point them toward the gospel. Serve at our Foster/Adoption Group or Thrive Meetings: We could always use help with provision of refreshments, and setup/cleanup at our regular support meetings. Wrap around a specific family: So many foster, adoptive and single parent families could benefit from having people who will take responsibility to care for them and build long term supportive relationships. Serve on our Resource Closet Team: Message us via Facebook (see below) to inquire. Serve area DSS office & workers: We periodically deliver resources to local DSS offices, and provide care packages for the individual social workers. Connect, follow and respond: Needs are posted on our Facebook page/group (see below). If you're interested in fostering or adopting but don't know where to start, click the button below to download a helpful resource.